The No. 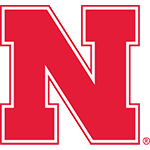 5 Nebraska volleyball team capped an unbeaten weekend with a 3-1 win over Santa Clara to win the Ameritas Players Challenge title in front of a crowd of 8,047 at the Bob Devaney Sports Center on Saturday afternoon. Set 1: Sweet had three kills early on to help the Huskers to a 5-3 lead. The Huskers strung together four straight kills, three from Foecke, as part of an 8-0 run on Stivrins’ serve that made it 16-6 Huskers. NU went up 22-10 after a 4-0 spurt and finished off the 25-13 win, out-hitting the Broncos .519 to .074. Set 3: Nebraska regrouped after the intermission and began set three on a 10-3 run. 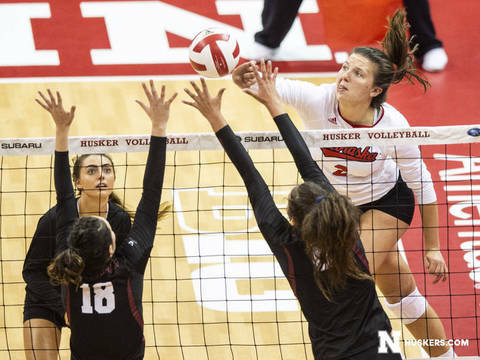 Sweet sparked the Huskers with three kills and a pair of blocks. Nebraska went on a 9-0 run to take a 24-7 lead with Foecke contributing a kill and an ace. Sweet finished off the set in NU’s favor, 25-9, with her 13th kill. The Huskers rebounded to hit .435 in set three and held Santa Clara to -.103 hitting with just six kills.